This 2 bedroom, 2 bath home with a 1 car garage, great curb appeal and a giant great room is ready for you to move right in! The great room could be the perfect master suite, with the addition of some wardrobes and you are walking distance to Leu Gardens, all the incredible shops and restaurants in Audubon Park, Mills Park and Baldwin Park, but still just a short drive to downtown Orlando, and easy access to major roadways. Follow along on our video tour after the jump! It’s no secret that we love our city, and today we are back with another look at one our favorite Orlando neighborhoods. Urban living meets small town charm in the charming neighborhood of College Park. This community-centric neighborhood is a haven for food-lovers, local business, families and young professionals alike. 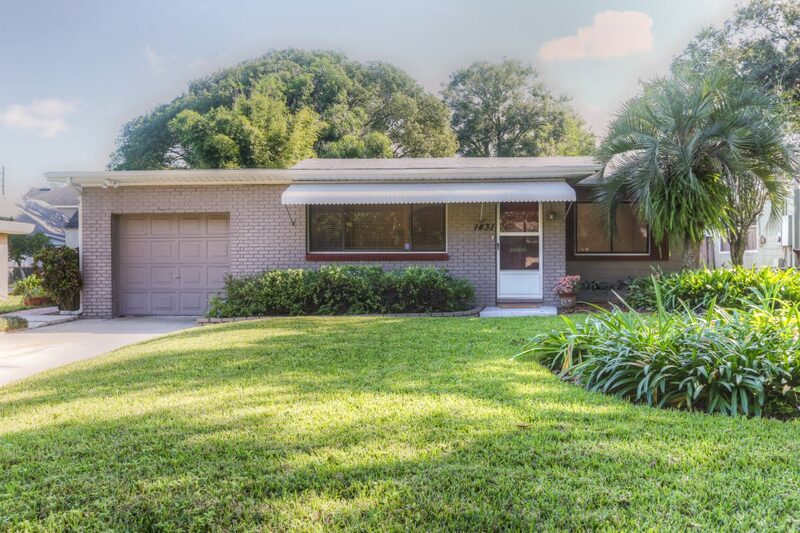 Looking for an Orlando home? Email Beth Hobart at beth@bethsellsflorida.com or give her a call at 407-227-8192. Video transcription is available after the jump.